Ali lost 64 pounds and 42 inches with the Venus program and is not about to quit! 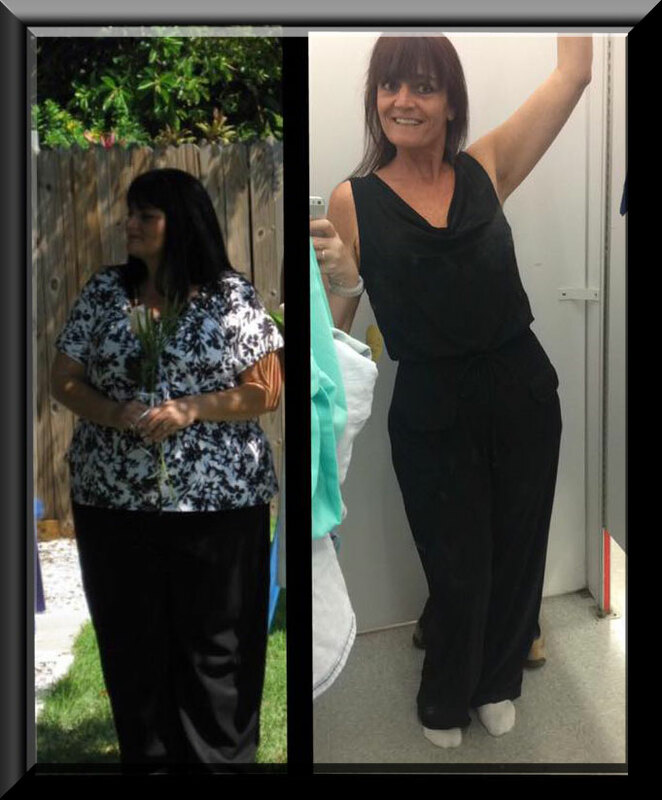 You are here: Home / change / Ali lost 64 pounds and 42 inches with the Venus program and is not about to quit! Ali has tried many programs and has yo-yo’d with her weight like so many of us. But she says this is the best so far, she has lost 64 pounds and refuses to quit. She looks amazing already, but why stop now? She knows she can get even better, and more than that, she knows she can keep it off for life. Keeping it off for life is the best part. You can find Ali active in our online community where she posted her progress picture recently. She posted a really neat video where she surprised her dad by showing up as a new smaller person! Ali’s best advice is just do it and get involved in the online community for the best support ever! Login to the community now and introduce yourself and just get started. I’m on the last week before I hit my one year anniversary of doing Venus. As some of you may know, I am planning to surprise my dad this weekend for his birthday. I have not seen him since May of last year, two months after I started. The picture on the right is the jumpsuit I bought to wear for the big “reveal” to my dad. The pic on the left is from 2009, when I was at my heaviest. I’ve come a long way baby, and can’t wait for my dad to see the changes!! I think the big reveal to my dad was very successful. I stood there for about 30 seconds before he turned around. My step mom and sister both had their phones going to record, but my step mom mouthed the words “you look great” while dad was piddling with his phone! I have been stuck for the last month, bouncing between 171 and 172. Finally this weekend, I broke through to the 160s!!! 169.6, to be exact, but it’s another milestone on this journey!!! What is truly amazing to me is to think back, to 2010 actually, when I started another weight loss program. At the time I started, I weighed 263#. I did that program for about a year, but because of the monthly expense, I quit. I had hit the 50# mark with that program, but gained back about 20 pounds before starting Venus. To think that since that time I have lost almost 100# is simply AMAZING! That’s like a whole other person!!! Total inches lost to date is 42.5!! !